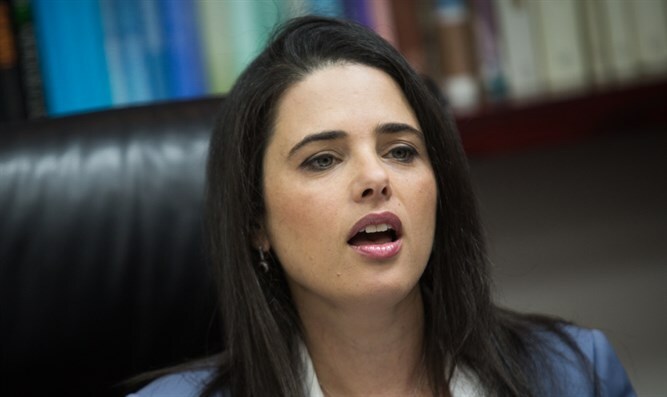 Justice Minister Ayelet Shaked slammed the joint statement of the governments of Israel and Poland on the amendment to Poland's controversial Holocaust Law. "You cannot silence any criticism of a political claim," Shaked said. "The historical truth should be told and not distorted: Polish aid to Jews during the Holocaust was a relatively rare phenomenon and a violation of them, and even their murder was a common phenomenon." "I suggest that everyone read Yad Vashem's document on the declaration and understand how wrong it is. The State of Israel must not be a signatory to this document, and therefore it must be annulled," added the justice minister. Earlier, the Yad Vashem Holocaust Museum in Jerusalem released a statement in which it said the "joint statement contains grave errors and deception."